Explorations in Quilting and Life: Please Enjoy! 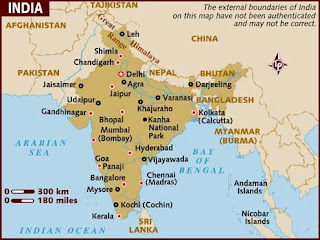 For the next few weeks I will be traveling in India with my daughter and son-in-law while my dear husband holds down the fort at home. We will mainly be in the province of Kerala south of Kochi in the village of Alleppey. 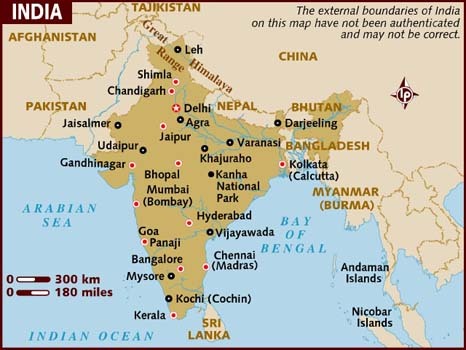 You can see Kochi and Kerala marked on this map - why Kerala is marked as it is a province, not a town, is not clear to me but, at least, this gives you a general idea of where we will be. My blog will stay active while I am traveling as I have prepared a series of posts in advance but I probably won't be able to respond to any comments till I return. I hope you will understand. Promise to bring back many wonderful photos to share. Travelling mercies, Judy! Looking forward to seeing your photos. Bon voyage! I look forward to your photos and stories from India.